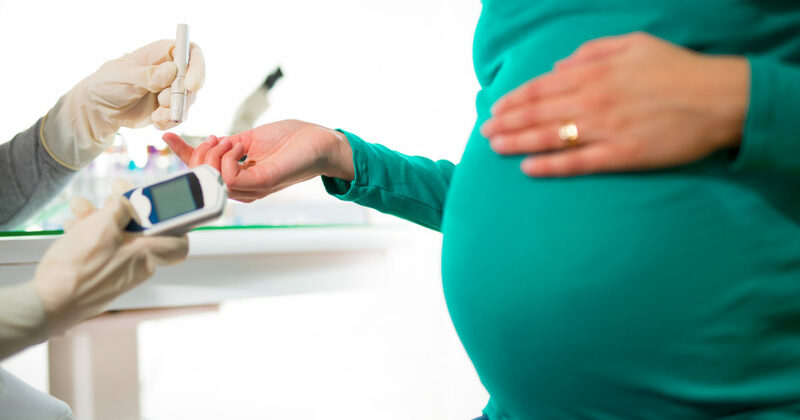 Women who have gestational diabetes mellitus (GDM) during pregnancy have a higher than usual risk of developing type 2 diabetes, hypertension, and ischemic heart disease in the future, according to new research led by the University of Birmingham. The retrospective cohort study, a collaboration between the Universities of Birmingham, Auckland, and Warwick, as well as University Hospitals Birmingham NHS Foundation Trust, was published today in PLOS Medicine. The researchers studied the incidence of type 2 diabetes, hypertension and ischemic heart and cerebrovascular diseases in a UK primary care database that included more than 9,000 women diagnosed with GDM between 1990 and 2016. The study found that women diagnosed with GDM were over 20 times more likely to be diagnosed with type 2 diabetes later in life, over two and a half times more likely to develop ischemic heart disease and almost twice as likely to develop hypertension. Dr Krish Nirantharakumar, of the University of Birmingham’s Institute of Applied Health Research, said: “Results showed women diagnosed with GDM were significantly more likely to develop hypertension and ischemic heart disease at a relatively young age compared with women without a previous diagnosis of GDM in addition to the established risk of developing diabetes. The risk was greatest for type 2 diabetes in the first year following diagnosis of GDM and persisted throughout the follow-up period. The findings add an important insight into the trajectory of the development of type 2 diabetes, hypertension and cardiovascular disease in the early and latter post-partum periods. Although current guidelines recommend annual screening for diabetes in women diagnosed with GDM, the study also found that follow-up screening for diabetes as well as cardiovascular risk factors was low. With the exception of blood pressure, less than 60% of women were screened in the first year after giving birth and decreased to less than 40% by the second year after having their baby. Barbara Daly, of the Faculty of Medical and Health Sciences at the University of Auckland, said the research was especially important given that the prevalence of GDM is increasing rapidly in most developed countries. She added: “Guideline recommendations for screening and management of hypertension, lipids and smoking cessation are lacking and need to be reviewed. “Although the NICE guidelines recommend annual screening for type 2 diabetes in women diagnosed with GDM, this study found follow-up screening was poor for type 2 diabetes and other cardiovascular risk factors such as hypertension.